You have already taken the Fabasoft Cloud Broker Basic Training, or you are a Fabasoft customer and want to learn more about the Fabasoft Cloud apps? Then the Advanced Training is just right for you! Find out more about the functionality of the Fabasoft Cloud app “Contract Management” and the Fabasoft Cloud app “Personnel File”. Our Fabasoft experts will tell you all about the relevant use cases for end users and convey in-depth knowledge on the administration of these Cloud apps. 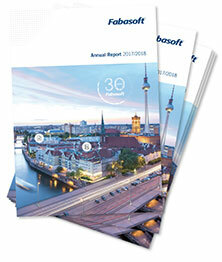 Training documents and examples will be made available in a Fabasoft Cloud team room.